Today, the Planetary Society opened a naming contest for dwarf planet 2007 OR10, a worthy endeavor. Unfortunately, what should have been a welcoming, uncontroversial invitation has instead been presented in a biased manner that unfairly presents one side of the planet debate as fact without acknowledging the existence of the debate and even goes as far as attempting to help Mike Brown sell his book of errors. The solicitation of names for this distant object, which is almost certainly large enough to be in hydrostatic equilibrium and therefore classed as a dwarf planet, could easily be done using completely neutral language and sidestepping the planet debate entirely. Instead, the Planetary Society unfortunately allowed itself to be used as an advertising platform for one view and one outspoken proponent of that view. On the main page, “OR 10 Needs A Name,” 2007 OR 10 is described as a “planetoid,” a term that is a synonym for asteroid and therefore not appropriate for a dwarf planet. Planetoids are objects not large enough to be rounded by their own gravity. The page goes on to support one of the most controversial, offensive, and wrong aspects of the 2006 IAU vote—the placement of dwarf planets under the auspices of the IAU’s Minor Planet Center. This was done solely to placate the late Brian Marsden, who had a long term grudge against Pluto discoverer Clyde Tombaugh and spent decades obsessed with bringing Pluto under the Minor Planet Center’s auspices. 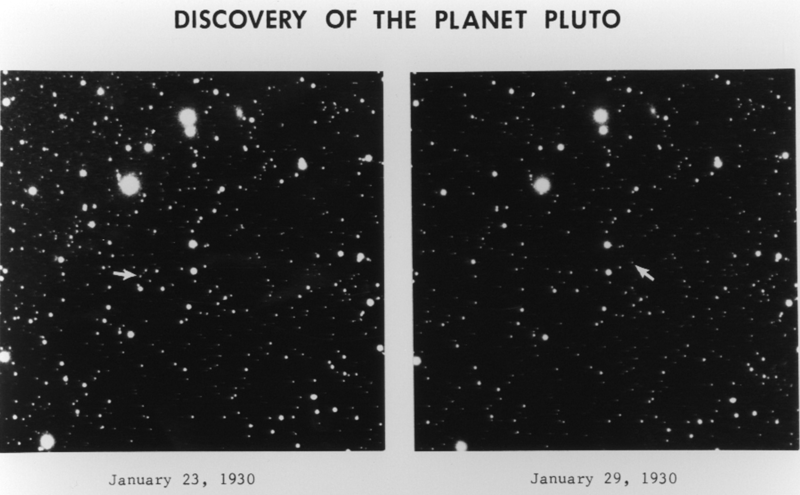 Marsden was so fixated on this goal that he publicly stated it at a 1980 celebration of the 50th anniversary of Pluto’s discovery, in the presence of Tombaugh and his family members. Interestingly, under the subheading, “Naming A Distant World,” the site, in an effort to highlight the significance of dwarf planets, notes that Eris is the most massive object in the Kuiper Belt but fails to provide any information about Pluto, including the fact that it is the largest object in the region, the one with the most moons, and the solar system’s only known binary planet system. The New Horizons mission is not mentioned anywhere on the site even once. The most biased information on the site comes under the “Who Are We” section. There, Mike Brown’s biography is nothing less than a platform to promote and sell his book and present solely his view of the planet debate. One particular sentence goes out of its way to state that dwarf planets are not “real planets,” then uses the controversial term “Planet 9” to promote an undiscovered world which many in the Lunar and Planetary Science Institute last summer requested be referred to by the more appropriate appellation “Planet X,” the term traditionally used for a hypothesized but undiscovered world. Neither are genuinely fair and balanced; at times both are worthy of the terms “Fake News” and “alternative facts,” as is some of the writing on this website. The discovery of Eris is not about “killing” Pluto. It is about the finding of a whole new category of planets in the outer solar system. For some reason, Brown cannot appreciate this. Brown’s book is neither award-winning nor best-selling. Even if it were, why is the Planetary Society allowing him to use its site to sell books? Interestingly, David Rabinowitz’s biography is also on the site, as he too was a co-discoverer of 2007 OR 10. Rabinowitz also co-discovered Eris and significantly, signed the petition of 300 planetary scientists who rejected the IAU planet definition. Somehow, the latter fact is never mentioned in the paragraph about him. Unlike the New Horizons-sponsored naming contests for features on Pluto and its moons and for 2014 MU69, the object that became known as Ultima Thule, this contest does not allow entrants to provide name suggestions of their own. Only three names are presented, and voters must choose one of the three. Why not open the contest up to more suggestions as a means of further engaging the public in this exciting discovery? The site notes that ultimately, 2007 OR 10’s name will be selected by the IAU Committee for Small Body Nomenclature, raising yet another error created by the 2006 IAU vote. This committee is for naming small solar system bodies—objects not large enough or massive enough to be spherical. In contrast, dwarf planets are planets, and their naming should fall under the IAU Working Group for Public Naming of Planets and Planetary Satellites. By all means, go ahead and vote in this contest. The goal is worthy but the means to it, namely this website and the choices made in creating it, represent a lost opportunity to introduce the public to the wonders of Kuiper Belt planets without promoting someone’s agenda and pretending that one side of an ongoing debate is fact. The Planetary Society knows better than this. We don’t need fake news and alternative facts when the reality is so much more wondrous. 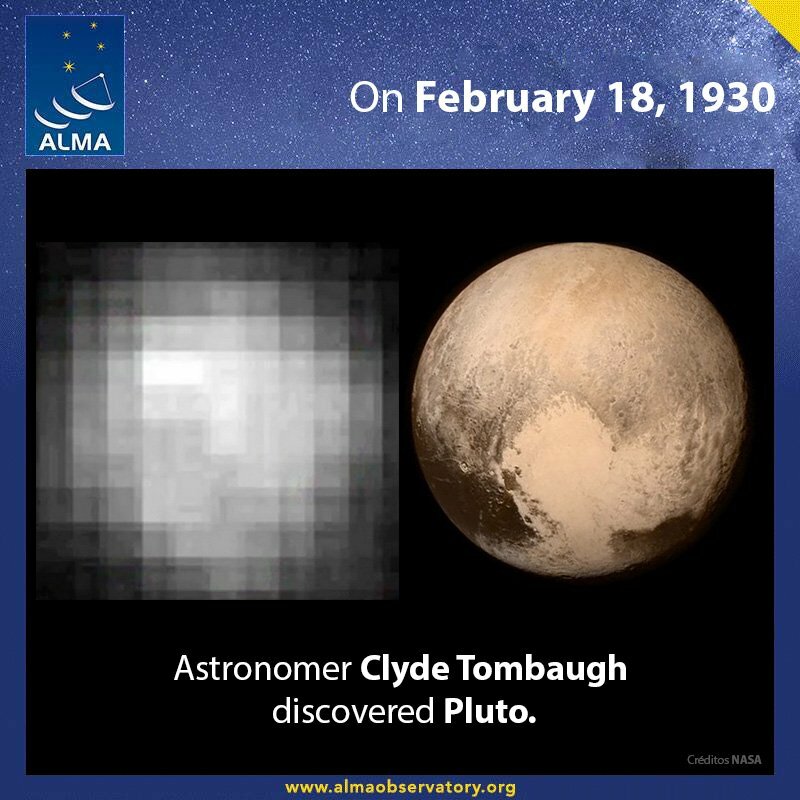 Today marks the 89th anniversary of Pluto’s amazing discovery by 24-year-old Clyde Tombaugh at the Lowell Observatory in Flagstaff, Arizona, on February 18, 1930. With this year’s New Year’s flyby of Kuiper Belt Object Ultima Thule, Tombaugh, whose ashes are onboard the New Horizons spacecraft, became the only person to have ever journeyed four billion miles from Earth, on a trajectory to eventually leave the solar system. Back on Earth, the diminutive but fascinating planet he discovered almost nine decades ago continues to fascinate people of all ages, including children who, though born after the ridiculous IAU vote, continue to view Pluto as a planet. Unfortunately, the IAU has made no attempt to rectify its 2006 blunder. At its 30th General Assembly (GA) in August 2018, the first GA held since all of New Horizons’ data on the Pluto system was returned in late 2016, the IAU made no effort to revise its definition based on the new data or update it to include exoplanets. Incredibly, some materials distributed at this year’s IAU GA regarding the New Horizons Pluto flyby contain erroneous or misleading information. Most prominently, an image of Pluto and Charon that is part of the IAU’s 100th Anniversary Exhibition, which the group plans to display worldwide over the next year, while composed of New Horizons images, inaccurately portrays the size difference between the two worlds. A very small Charon is shown to the bottom left of Pluto. Charon is actually half Pluto’s size, meaning it is scaled down by around a factor of four in this image. The use of real photographs makes the display appear authentic, yet it is far from that, as Charon is large enough for the center of gravity between it and Pluto to be between the two objects, making Pluto-Charon a binary planet system. The IAU’s 72-page Strategic Plan 2020-2030 gets the mission name wrong by referring to it as “New Horizon” without the “s” on page 55, but this is the least of its problems. Every reference to the New Horizons mission and/or the solar system seems deliberately worded to convey the message that its 2006 decision is set in stone, never to be changed. On page 23, a diagram of the solar system positioned next to a much too large image of interstellar asteroid ‘Oumuamua, shows the orbits of only Mercury through Neptune. Page 27 shows the Mitaka Solar System Walk in Japan, with a poster clearly showing the orbits of only eight planets. Then, at the top of page 55, in a discussion of the New Horizons and Rosetta missions (Rosetta orbited Comet 67P/Churyumov-Gerasimenko), a sentence that seems written deliberately to deny Pluto’s planet status says, "Recent space missions such as Rosetta and New Horizons have provided a wealth of data on the physical characteristics of asteroids, comets and the outer Solar System." There is no mention of New Horizons having visited a small planet as its primary mission. Another inaccuracy in the report relates to the 2005 discovery of Eris. Ekers writes, “One TNO (Trans-Neptunian Object), 2003 UB313 (the original designation of Eris), which was found by Mike Brown at Caltech was estimated to be larger than Pluto (e.g. Brown et al, 2006a)…” In a very unprofessional manner, Ekers fails to note that Eris was actually discovered by a group of three scientists rather than by Brown alone. The other two, Chad Trujillo and David Rabinowitz, reject the IAU planet definition; Rabinowitz even signed a petition by 300-plus planetary scientists opposing the definition, circulated within days of the IAU vote. Furthermore, in 2010, the belief that Eris is larger than Pluto was proven false when a team of scientists led by Bruno Sicardy obtained a more accurate measurement of Eris when it occulted a star. Conveniently, the IAU report neglects to mention this. While the report goes on to name the members of the Planet Definition Committee formed by the IAU in 2006, it fails to mention that following the rejection of that committee’s definition by the General Assembly, the alternate resolution that was hastily thrown together was done so in violation of the group’s bylaws, which require all resolutions to be vetted by the proper committee before placed before the General Assembly for a vote. It also neglects to report that Planet Definition Committee chair Owen Gingerich, who was unaware of this subterfuge and left the conference early, later stated that had he known another resolution would have been put to the GA floor, he would have stayed until the end. This description is actually the opposite of what New Horizons discovered! The probe revealed how similar, not how different, Pluto’s processes and structure are to those of its larger terrestrial counterparts, specifically by revealing evidence of cryovolcanism, a layered atmosphere, interaction between the atmosphere and the surface, the presence of wind-blown dunes, floating glaciers, active geology, and a possible subsurface ocean. Nothing in New Horizons’ findings showed this particular dwarf planet to be “spectacularly different” from the objects the IAU defines as planets. Incredibly, Ekers had to resort to a lie to make his point. The report’s epilogue, which features a list of all the “positive reactions” to the IAU vote, including the earlier mentioned “burial ceremony,” is actually a litany of biased sources, all who favor the IAU definition: Mike Brown, journalist Daniel Fischer, astronomer Jean-Luc Margot, Neil de Grasse Tyson, etc. This highly political rather than scientific list is the equivalent of someone arguing that the response to the recent shutdown of the US government by President Donald Trump was a complete success by citing solely those who support it (or vice versa). Ignoring the other side and pretending it does not exist are not science but propaganda. To add insult to injury, the only “less positive reactions” the report bothers to cite are either humorous ones, such as a joke about the IAU claiming February is not a month, legislation by Illinois and New Mexico rejecting the definition, and the American Dialect Society choosing “Plutoed” as 2006 word of the year, or those lacking credibility, such as opposition to the demotion by astrologers. Somehow, the petition signed by 300 plus planetary scientists opposing the definition and the subsequent articles, publications, presentations, and public referendums over the next 12 years are never mentioned. Ironically, Ekers concludes by stating, “The need for electronic voting was recognized and included in the IAU Statutes as a result of the Pluto debate.” The reality is, the need for electronic voting was actually something promoted by opponents of the IAU decision, who noted that 96 percent of its members could not vote in 2006 because there was no provision for electronic voting. Both scientists and members of the public requested the enacting of electronic voting for six years before the provision was finally adopted by the organization in 2012. In 2006, the IAU leadership made a big enough deal about the discovery of Eris to merit a debate on defining the term planet. Yet in 2018, when sufficient new data had been revealed by New Horizons to the point of completely rewriting our understanding of the Pluto system, this same leadership barely acknowledged the findings. When, back in 2006, the IAU was confronted with the fact that its definition only applied to our solar system and not to exoplanets, they promised to address exoplanets sometime in the future. Since then, we have gone from approximately 300 known exoplanets to about 4,000, but they have yet to address the issue. The fact that there has been no effort to update the definition to include exoplanets and no recognition of the new data about Pluto returned by the New Horizons mission makes it clear we have reached a major turning point in the quest for a better, geophysical planet definition. These fake news IAU documents need to be exposed and refuted. Cherry-picking data to prove one’s pre-existing bias is not science. Clyde Tombaugh is not here to do this, but for the sake of knowledge and of future generations, the world needs an organized effort by planetary scientists to do it and finally set the record straight for educators, textbook publishers, the media, and the public. The small world discovered 89 years ago today was, is, and always will be, a planet. I will be at JHUAPL for the flyby. Happy New Year! Winter Solstice—that magical time when darkness gives way to light, and the Sun is symbolically reborn—is here once more. For Plutophiles, it caps a year of major victories in the fight for Pluto’s planet status while also heralding the flyby of New Horizons’ second target, Ultima Thule, now just days away. This particular Solstice season is an unusually “spacey” one. It marks the 50th anniversary of the triumphant launch of Apollo 8 and its orbit around the Moon, setting the stage for the Apollo 11 landing just seven months later. It was Apollo 8 that gave us the iconic “Earthrise” photo, showing the blue and white sphere of our planet rising as seen from lunar orbit. More than anything else, that picture is a constant and powerful reminder that we are all one, that borders are artificial, that we share a common destiny. 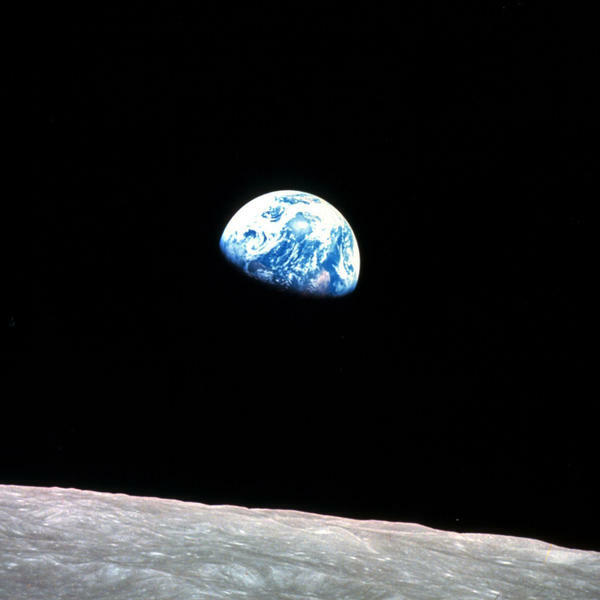 Since then, astronauts who have seen this view for themselves from the Moon, space shuttle and International Space Station have advocated giving everyone, especially world leaders, a chance to see it, understanding that seeing the world as one beautiful planet would forever alter their perspectives in a way that would benefit the world. Like the Apollo missions, New Horizons and its flybys of Pluto and Ultima Thule remind us that humanity can do great things if we genuinely commit to doing them. The type of vision and persistence that made these missions so successful are badly needed today to unite this planet in the fight against climate change and the many social and political ills still facing so many people, the very things that are holding us back from fully becoming a space-faring species. Too often, this time of year, which should unite us in recognition that we are all one planet and share a common destiny, instead divides us. In the US, people argue about whose holiday should receive the most recognition, who is a minority versus a majority, etc. This is genuinely sad because like eclipses, comet appearances, and meteor showers, solstices and equinoxes are phenomena everyone experiences. They remind us that all humans and all life share a common destiny. There is nothing wrong with celebrating cultural differences, but too often, these differences are emphasized to the point of obscuring that shared destiny. It is a case of seeing all the trees but failing to recognize they make up the single ecological system that is a forest. If we can come together to put people on the Moon and control a probe four billion miles away, we can also come together to save this planet and begin a new era of exploration that will take us to the stars. That vision is still possible. Keep hope alive! Planetood for Pluto and all dwarf planets!